East Belfast Groups help Adam fulfil his dream. Young Adam Stevenson will be living his dream this weekend when he meets his idols at Glasgow Rangers. Adam suffers from a life limiting, muscle wasting disease called Duchenne Muscular Dystrophy, of which there are only 65 known cases in Northern Ireland. The disease only affects young boys with their life expectancy being around no more than their mid-20s. Adam, who is wheelchair bound will travel to his first Rangers game this weekend against Kilmarnock and will spend Friday morning meeting the players at their training facility in Glasgow. Adam’s Dad Gary tells us “the family are absolutely overwhelmed by the generous donations from R.E.A.C.H, East Belfast Action for Community Transformation (ACT), Rangers supporters clubs from HW Welders, East Belfast Constitutional Club and Lagan Village along with the Union Jack Shop and East Belfast Protestant Boys Flute Band. These groups have all rallied to make Adams dream come true and we cannot thank them enough”. R.E.A.C.H Chairman Jim Wilson said “Id like to personally thank the groups who came together to raise over £1000 to make this possible along with the staff at Stena Line. There is a strong community ethos in East Belfast and we are delighted to send the family across to make special memories with Adam and his brother Jake”. Last Word spoke to Wesley Hutchinson, Professor Emeritus of Irish Studies at Sorbonne Nouvelle, and Helen Brooker, director of Pretani Associates. The show also includes Seychelles President Albert Rene, mathematician Simon Norton, campaigner Belle Tutaev, historian and singer Keith Flint. On Sunday 10th members of our group attended the annual RBL motorbike ride past and wreath laying service in Antrim. The service marked one of the final events planned over the weekend on the 10 year anniversary after the brutal terrorist attack at Masserene Barracks on the Randalstown Road in Antrim which claimed the lives of sappers Mark Quinsey and Patrick Azimkar. This afternoon members of our group attended the unveiling of a new mural in the Rathcoole Estate, Co Antrim in remembrance of the Three Scottish Soldiers. Today, March 10, marks 48 years since brothers John (17) and Joseph McCaig (18) from Ayr and Dougald McCaughey (23) from Glasgow, became the first soldiers killed while off duty during the Troubles. All three were Privates serving with the 1st Battalion -The Royal Highland Fusiliers, stationed at Girdwood barracks in Belfast. The three soldiers having been granted leave, had been enjoying a social drink together in Belfast City Centre, unarmed and in civilian clothing. It is widely believed the young men were enticed by a number of Republican females with the promise of a party. They were taken to White Brae, North Belfast were they murdered by the Provisional IRA. The three had been shot at close range and were rumoured to be in a line. After failing to report back at 18:30 their bodies had been found by a group of children at 19:30. The coroner at the time of the inquest into their murders in August 1971 commented: “You may think that this was not only murder, but one of the vilest crimes ever heard of in living memory”. Sadly, two existing Memorials erected in memory of the soldiers have been attacked more than 25 times since 2010 by Republicans. Well done to the organisers – Lest we forget. On Thursday evening some of our members attended a Community Remembrance Service at Massereene Barracks on the 10th anniversary of the brutal murder of Sappers Patrick Azimkar & Mark Quinsey by Irish Republicans. At an earlier service Patrick’s mother Geraldine Ferguson commented. “Thank you Antrim for keeping the boys close to your hearts over the years even though you never knew them”. Six other soldiers had suffered life-changing injuries or trauma in the attack, she noted and Mark’s mother, Pamela had “died of a broken heart” and was “definitely another victim”. A stark reminder of our troubled past under threat of violent Republicans. We ask them, was it worth it? Yesterday evening our group was invited to the Sammy Duddy Conflict Transformation Centre on the York Road, North Belfast. The centre has become a great addition to various venues displaying aspects of Loyalist culture. Within the centre there are many artifacts and mementos including old flags, jail handicrafts, obsolete weapons and old newspaper clippings among other items. Their aim at the centre is to engage with individuals and groups to help understand the reasons around the need for the formation of various Defence Associations over 40 years ago. They also show the impact the conflict had on loyalist working class communities–in particular North Belfast. Named after Sammy Duddy, a leading member of the Ulster Political Research Group.Sammy was involved in the negotiations that led to the 1998 Good Friday agreement. Conflict Transformation became a focus for Sammy who sadly passed away on October 17 2007. His legacy lives on with the group in the centre focusing on community development, community safety, conflict transformation and community relations. Many thanks for the invite and all the very best for the future. On 7th March morning members of Dalaradia attended an Act of Remembrance and Service in Market Square, Antrim. The event marked 10 years after the brutal terrorist attack at Masserene Barracks on the Randalstown Road in Antrim which claimed the lives of sappers Mark Quinsey and Patrick Azimkar. The families of the two Sappers were in attendance. A number of events are planned to remember Mark Quinsey & Patrick Azimkar. This evening at 7:30pm there will be a short memorial service and wreath laying at the gates of the old Masserene Barracks. A number of local groups will be taking part including our own. On Sunday 10th at 12 Noon there will be an annual RBL motorbike ride past and wreath laying taking place with refreshments for members after in the Antrim RBL. Yesterday evening members of Dalaradia attended a presentation by renowned local historian Dr David Hume on the creation of Northern Ireland at Randalstown Memorial Orange Hall. The event was organised by the South Londonderry, Randalstown ACT Initiative, the Carson Project and the Central Antrim Somme Association. A very enjoyable evening, many thanks for the invite. Multilingual doctor with friends on both sides of the sectarian divide who became mayor of Belfast and persuaded Ian Paisley to talk to Sinn Fein. Politicians liked by almost everyone are a rarity, not least in Northern Ireland. Ian Adamson, an Ulster Unionist best known for being the lord mayor of Belfast from 1996 to 1997, was friends not only with loyalist combatants in the UDA, the UVF and the Red Hand Commando, but also with their enemies in Sinn Fein. He was a friend of the singer Van Morrison and of the Formula One driver Eddie Irvine. As eclectic as his friends were his range of occupations. Although he made his name in politics, not only as lord mayor, but also as high sheriff of Belfast and a member of the Northern Ireland assembly, he started out as a doctor. He became a leading paediatrician, a specialist in community child health and in immunisation against tropical diseases. He was a linguist who could read Latin and was conversant in several languages, including Ulster-Scots, Dutch, Turkish and Sioux. He was a community activist who was involved in frontline areas of Belfast at the height of the Troubles and remained so until his death. He was a passionate advocate for a re-thinking of Ireland’s role in the First World War. Above all he was a historian, whose research into the ancient history of Ireland and Britain informed his commitment to fostering cross-community dialogue in and a new sense of identity particularly for the Unionist community. Adamson gave up medicine in the Noughties to pursue his historical studies, having already published a series of books that remain controversial. The most influential was The Cruthin – published in 1974 the yearof the Ulster Workers’ Council Strike, in which he argued that before the Celtic and Gaelic-speaking populations of Ireland were established, the Cruthin (or Pretani) people had already been living in the British Isles. The Cruthin were eventually controlled by Gaelic-speaking invaders and some were pushed back into Scotland. In this reading of history, which drew on old Irish texts, the Scots Presbyterians who came to Ulster in the 17th century under the plantation schemes were thus, in a sense, returning home and bringing with them a mixed Scottish and Gaelic heritage. It is an interpretation of history that is challenged by many archaeologists and continues to be the subject of heated debate in Northern Ireland where it naturally irks nationalists. Adamson’s use of it was to help Unionism to re-define its identity and derive a new sense of confidence as an indigenous people of the island of Ireland, rather than an out-of-place group with no stake in the ancient history of the land where they live. Adamson described himself as “a British Unionist, an Irish Royalist and an Ulster Loyalist.” As a progressive-minded politician he was committed to dialogue – unusually within the Unionist community he spoke some Irish – and he worked continually to foster what he hoped could be a new equilibrium between the two communities. In recent years he grew increasingly concerned that the peace process was still capable of going into reverse. He was for many years Ian Paisley’s personal physician and advisor, and played a key role in helping to bring the famously obdurate leader of the Democratic Unionist Party round to the idea of coming to a historic agreement with Sinn Fein. Adamson once took a group of schoolboys from the predominantly nationalist Falls Road in Belfast, from the predominantly loyalist Shankill Road, and from inner-city Dublin on a tour of Europe in the footsteps of St Columbanus, a monk born in Leinster and schooled in Bangor in the north of Ireland who founded several monasteries across Europe. On the way home they stopped on the Somme, which opened a new avenue of inquiry in Adamson’s mind. He went on become a founder of the Somme Association and the driving force behind the restoration of Northern Ireland’s national war memorial, the Ulster Tower at Thiepval. Samuel Ian Gamble Adamson was born in Conlig, Co Down in 1944. His father, John, who read widely, was from Bolton in Lancashire, while his mother, Jane, was from Kilmarnock in East Ayrshire. Together they ran the village store. He had two sisters, Isobel and Alexis, who survive him. As a boy Adamson was a voracious reader, but he was also technically minded, and when his father bought a job lot of old telephones he installed them in the family home so that it was possible to speak to anyone in any room. He attended Bangor Central Primary School, Bangor Grammar School and Queen’s University Belfast. 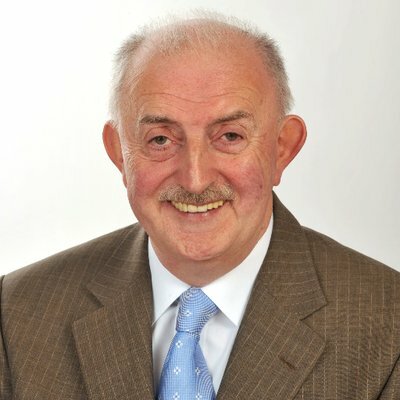 A loquacious speaker and deadpan wit who was a keen blogger, sharing his views online about everything from religion to social history, Adamson served on Belfast city council from 1989 to 2011. He was appointed OBE in 1998 for services to local government. He helped many people from diverse backgrounds. One of the biggest names who benefited from his financial sponsorship and counsel was Eddie Irvine, who was from the same village as Adamson. When the young Irvine was trying to make his way in motorsport in the late 1980s, Adamson came to his aid and helped him financially while he competed in his first races. Irvine, who went on to partner Michael Schumacher at Ferrari in Formula One, never forgot the gesture. Ian Adamson OBE, doctor and politician, was born on June 28, 1944. He died on January 9, 2019, aged 74.